Just past the edge of west Jerusalem a hill descends down into a small valley. Visible from the highway above, large crumbling houses casually dot the hillside, making up what was once the Palestinian village of Lifta. 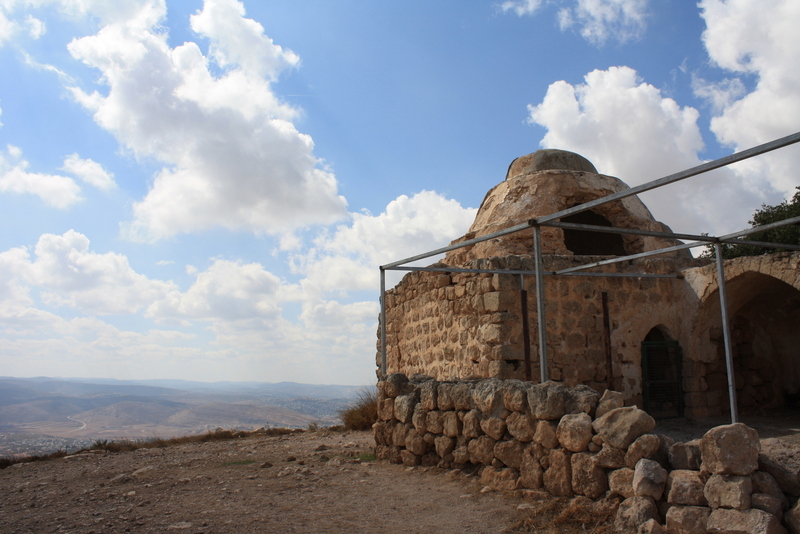 Of the many villages that were cleared of their Palestinian population during the 1948 Nakba, Lifta is the only one not to have been completely destroyed or repopulated in subsequent years. It sits like a frozen moment in time, beneath the rumble of traffic taking cars to and from Jerusalem, Tel Aviv, and West Bank settlements. 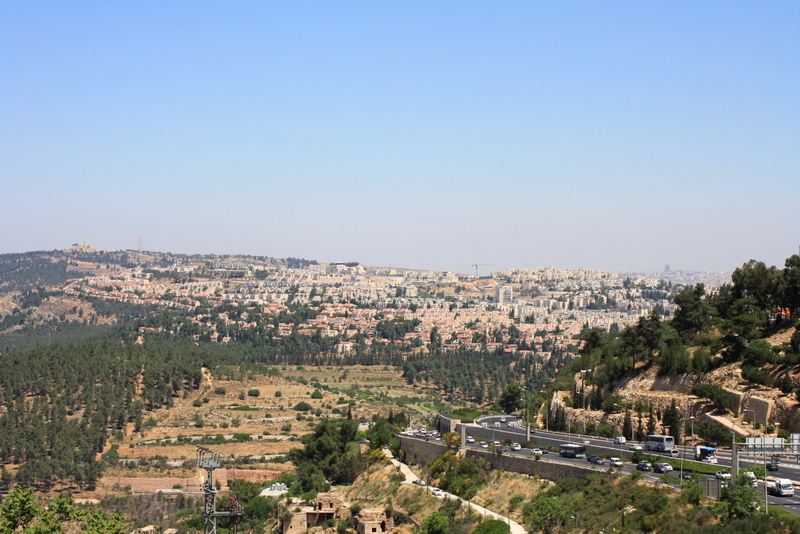 Arriving in Jerusalem from Ramallah, we walk from the bus station near the old city and half an hour through west Jerusalem: past the Mahane Yehuda market, down Jaffa street, past the Central Bus Station. After asking for directions, we are still not sure if we are on the right street, but we can see the village down to the left. “Okay, we just have to turn left at some point,” we conclude. But there is nowhere to turn left. Like Jerusalem does not want us to turn left. Finally we walk all the way back and try a different approach. Eventually we find the small road that descends down. There is no sign except one small one when you are already there. 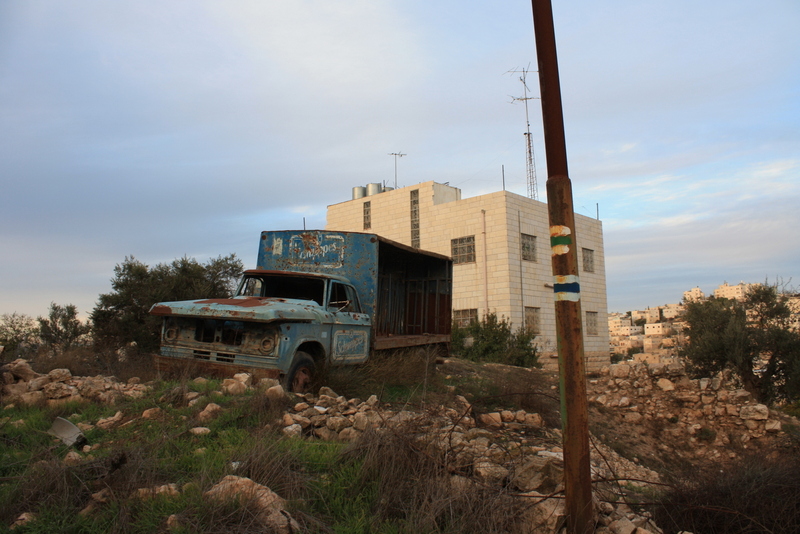 We pass a construction site with rumbling bulldozers, perhaps a harbinger of Israel’s plans for the area. 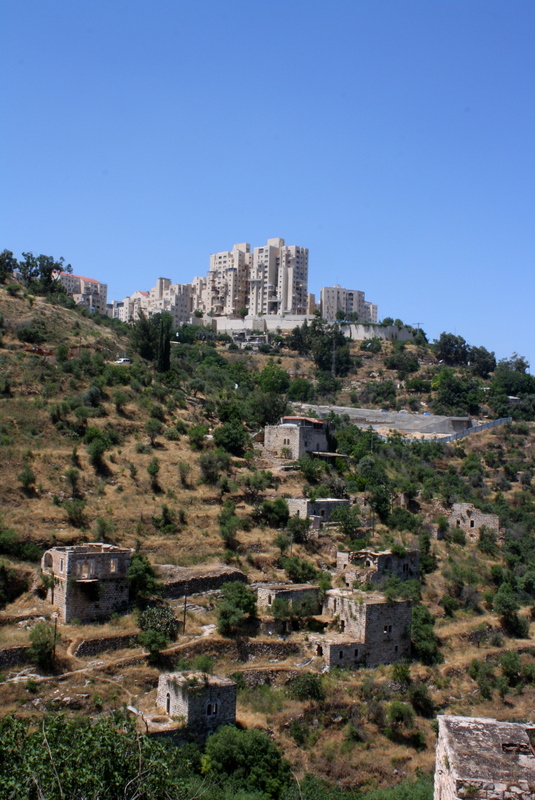 A 2004 plan calls for the construction of a luxury neighborhood in Lifta that would preserve some of the original structures, to be carried out by private developers. Of course, such a development would be for Israeli citizens and the upper classes that could afford to live there—not the Palestinians whose homes these once were. 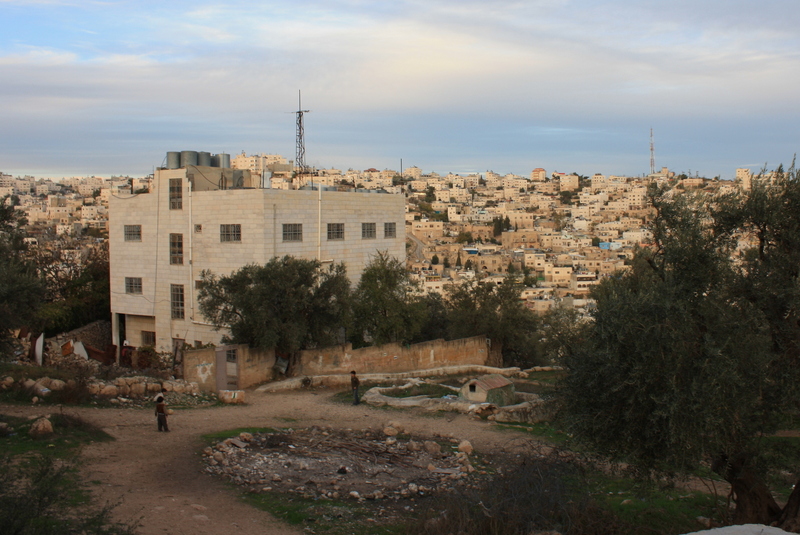 Hebron, the largest Palestinian urban center in the West Bank, is increasingly known as a contested and embattled space. 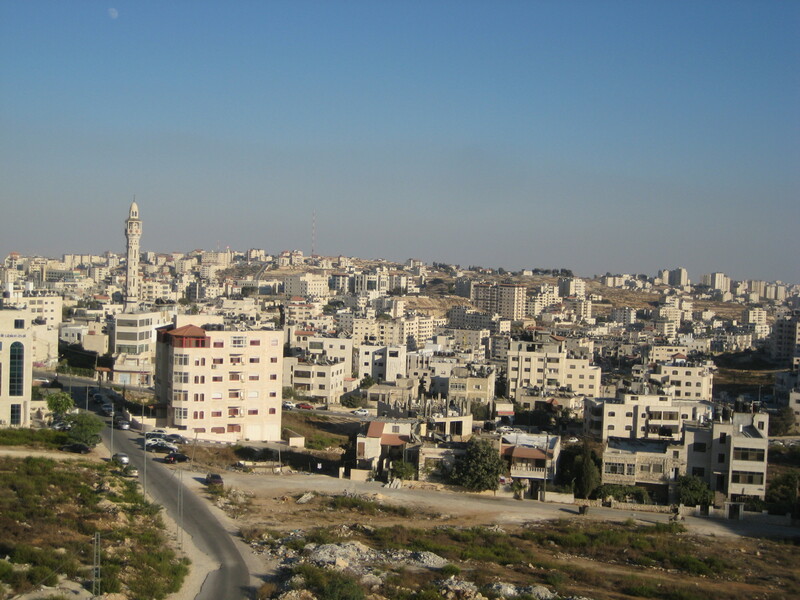 It is unique in the occupied Palestinian territories because Israeli settlements have been established inside the city. Mundane violence and segregation are evident here, most starkly culminating in Shuhada Street, once a bustling Palestinian thoroughfare, now off-limits to Palestinians. Numerous international organizations have set up shop here to document daily human rights abuses, though they’ve had little success in holding settlers and Israel accountable to their policies. 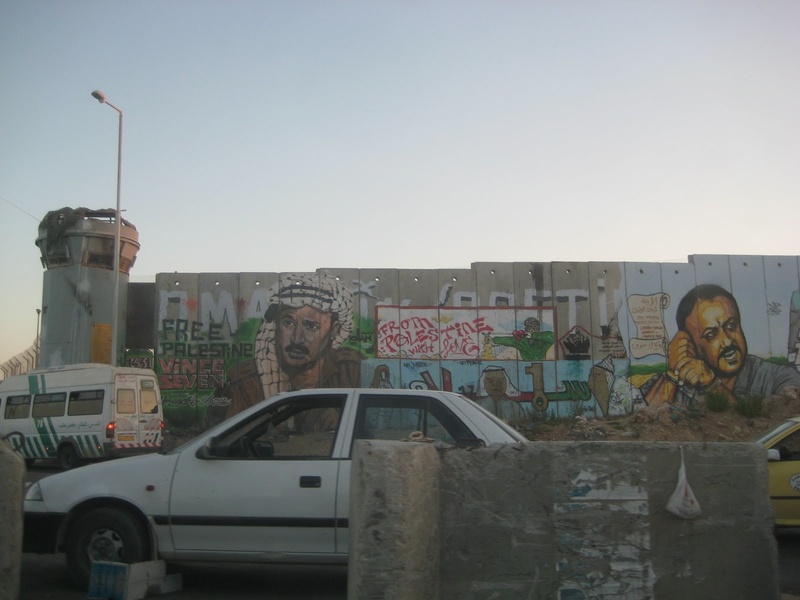 There are many tours one can take while visiting Hebron, which is almost always recommended to visiting internationals itching to get a feel for “the situation,” at odds with all liberal sentiments. These kinds of tours often use Hebron as an example of a particularly dire situation, where Israeli settlers have taken things to the extreme. And extreme examples abound, such as when the Israeli military recently detained a 5-year old Palestinian. But is Hebron an exception to the rule? Views of Hebron. Spot the military lookout. Like so many other Israeli settlements throughout the West Bank, settlements in Hebron’s city center were established with assistance from the Israeli army, in the 1970s. Currently there are about 500 settlers in Hebron, with about 2,500 to 4,000 Israeli soldiers stationed around the area to protect them. In 1994, New York-born Israeli settler Baruch Goldstein massacred 29 praying Palestinians at the Tomb of the Patriarchs. This is when Israel began limiting the movement of Palestinians in Hebron, supposedly to increase security (ha, ha). With the Oslo Accords, Hebron was divided into zones indicating various degrees of Israeli and Palestinian control, mirroring the division of the entire West Bank into Areas A, B, and C. Shuhada Street was completely closed off to Palestinians (except for residents of the street, but even they are limited in their access) with the outbreak of the Second Intifada in 2000. According to B’Tselem, 304 Palestinian-owned shops and warehouses along the street were shut down, and Israel even turned the central bus station into an army base. 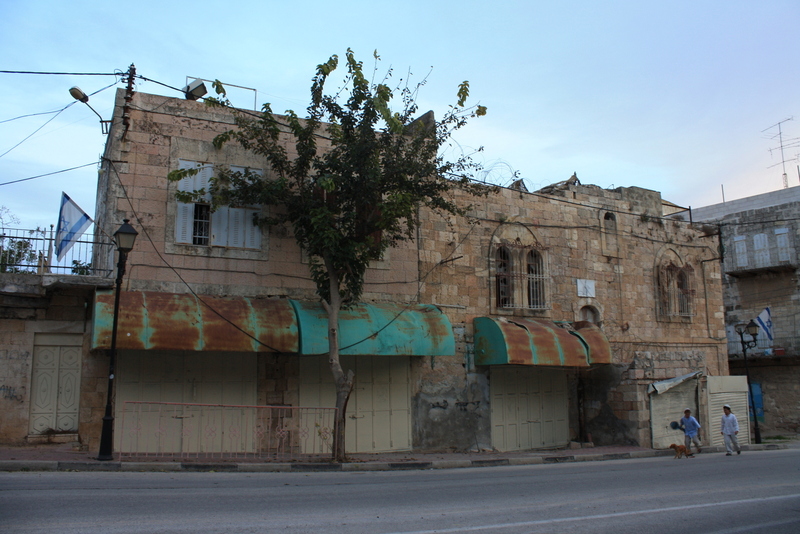 This has completely stifled the Palestinian economy in this area, which is now known by many as a ghost town. I have visited Hebron on three occasions. 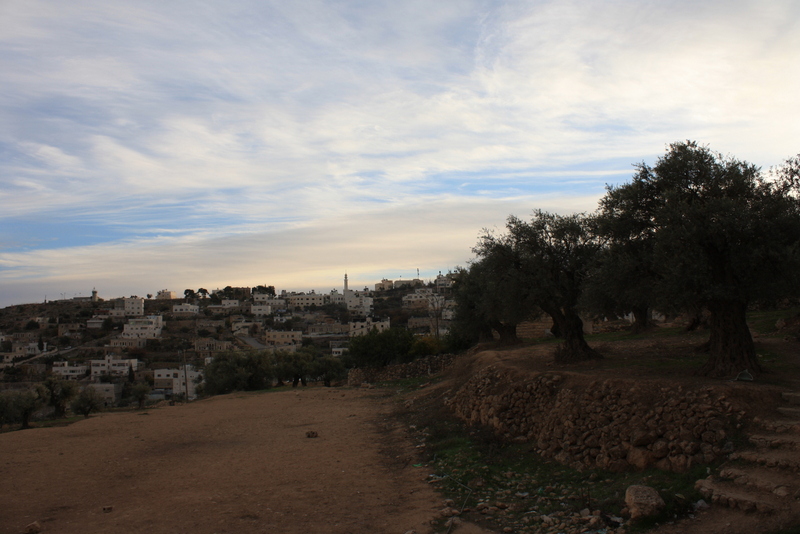 These photos are mainly from my second visit, in December of 2012, when I visited with two Americans, a Canadian, and a Palestinian. We arrived in the afternoon as the sun was setting. Palestinian children play near their home on a route frequented by settlers descending toward Shuhada Street. A bit further down the hill, out of view, is an Israeli soldier stationed at a lookout to ensure the safe passage of settlers. An abandoned car. I haven’t been able to verify this, but my guess is the painted signs on the post demarcate the safe route for settlers. Walking down Shuhada street. Since Palestinians who do not have residency here are not allowed to walk down this street, our Palestinian friend had to leave us and loop around to meet us on the other side. We passed store after store that was empty and boarded up. The street is eerily quiet besides the occasional passersby, though we felt utterly exposed and watched. Battlefield terms such as strongpoint, advance, penetration, encirclement, envelopment, surveillance, control and supply lines migrated from the military to the civilian sphere… In the hands of Sharon, his followers and colleagues, architecture and planning were presented as a continuation of war by other means. The civilianization of military terms was to lead in turn to the militarization of all other spheres of life. War was only over because it was now everywhere. Eyal Weizman, Hollow Land: Israel’s Architecture of Occupation, 2008. According to Israeli human rights group B’Tselem,* there are about 124 Israeli settlements in the occupied West Bank. In addition to this are around 100 informal “outposts.” All settlements are deemed illegal under international law, including all outposts, though unlike settlements, most outposts are not officially sanctioned by the Israeli government (key word: “officially”). 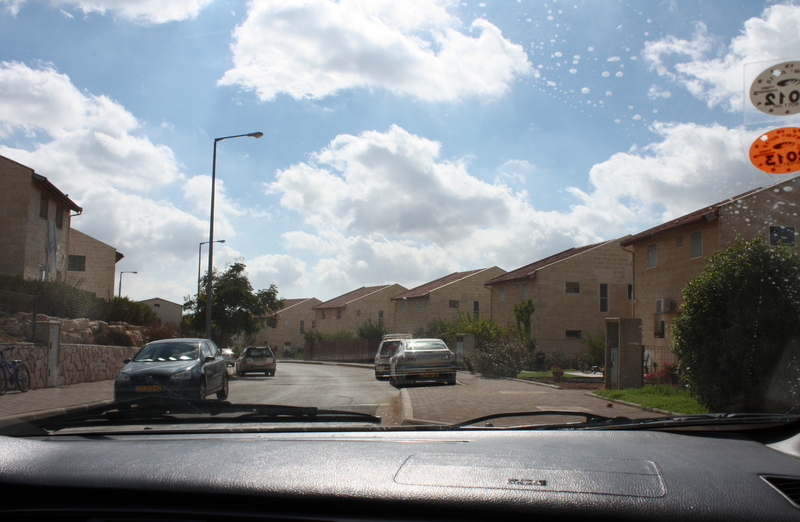 There are many incentives for Israelis to move to settlements: though some move because they feel they are fulfilling a religious or nationalistic destiny, others are given financial incentives either directly by government bodies or because they simply cannot afford to live in cities like Tel Aviv or Jerusalem. You can see settlements peppered throughout the West Bank (which is presumed to be under control of the Palestinian Authority, though you can see this is clearly not the case) on this map. The following pictures were all taken in the mid and northern West Bank, near Ramallah and up toward the Palestinian town of Nablus. 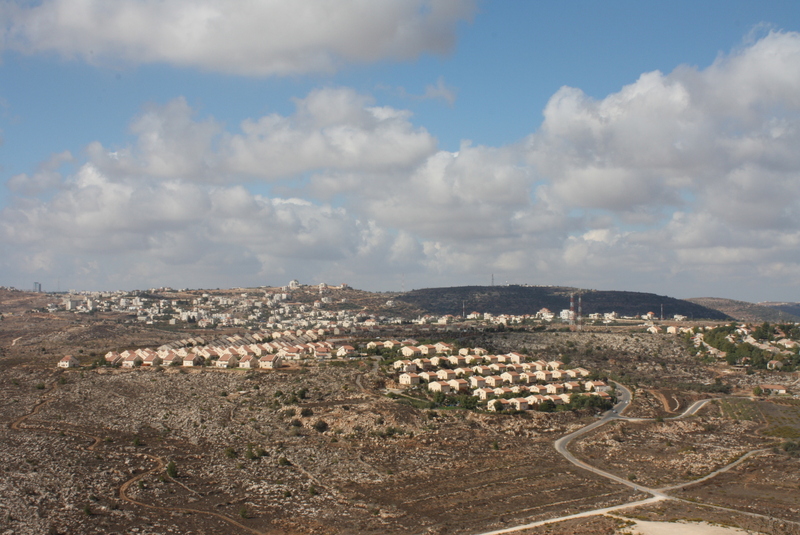 The settlement of Ofra, not too far north of Ramallah. Not all settlement houses look like carbon copies of each other, but these are particularly neat and uniform. A nearby lookout point with views of the area. This sign is supposed to roughly show the location of nearby settlements. The text at the bottom asks, “Can you see the holy temple?” referring to the third and final temple that should theoretically, under Judaism, be built on the present-day Temple Mount in Jerusalem. 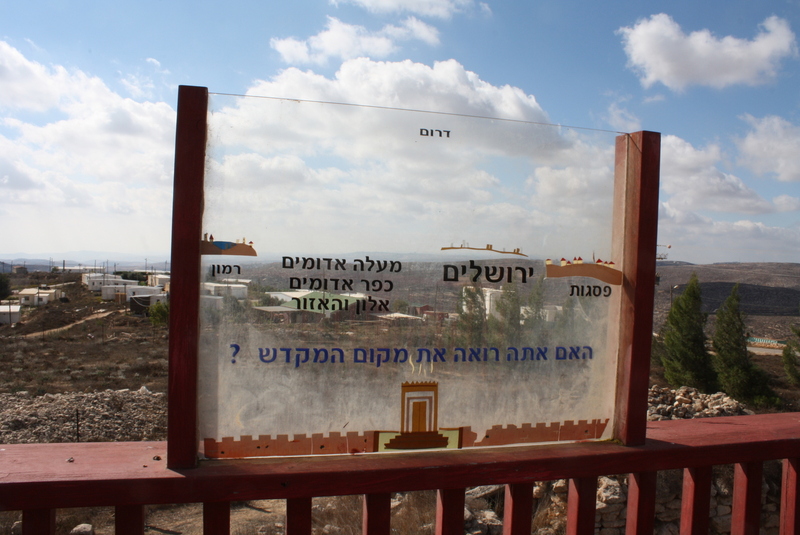 Just behind the sign, you can see the informal caravans and structures that form the outpost called Amona. Inside Ofra. The neat carbon-copy houses up close. I felt I could be in any number of suburban neighborhoods in the US. The streets were eerily quiet but for the occasional car or child on a bicycle. 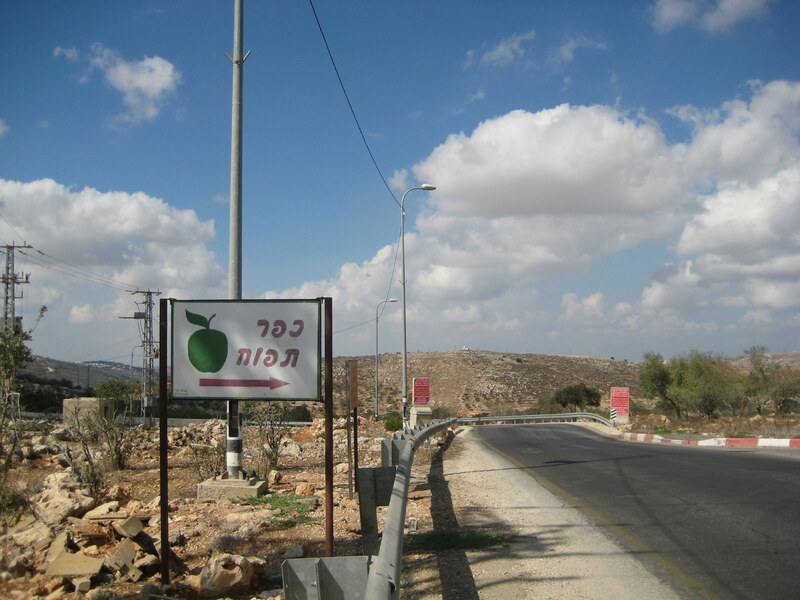 A sign for the settlement of Kfar Tapuach (literally, “Appleville”), just south of Nablus. Fruit seems to be a recurring symbol on this day, as in one settlement, an over-sized grape statue graced a small roundabout near the entrance gate. 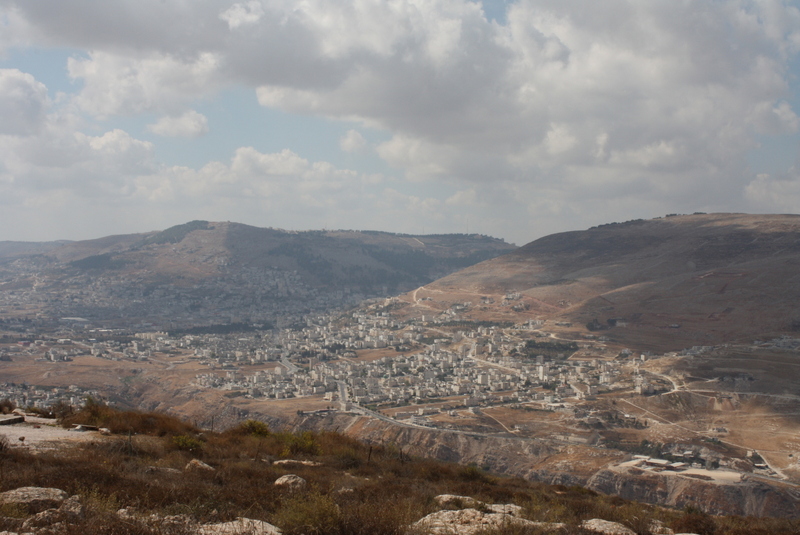 Palestinian village on the outskirts of Nablus. The following map, updated yearly by the UN Office for the Coordination of Humanitarian Affairs (OCHA) is ubiquitous among West Bank NGOs. 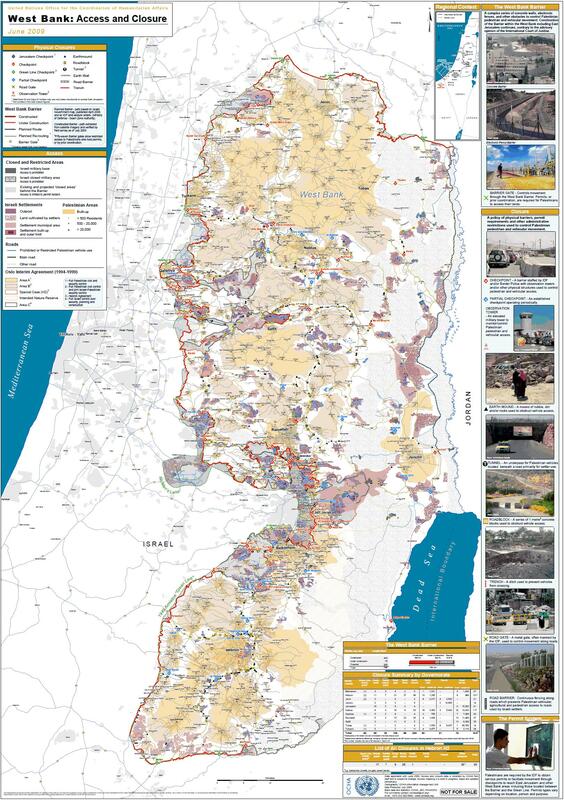 The map, one of the few detailed ones in existence, shows various movement and access restrictions throughout the Palestinian territory: settlements, checkpoints, Israeli-only roads, the construction of the Separation Wall, etc. 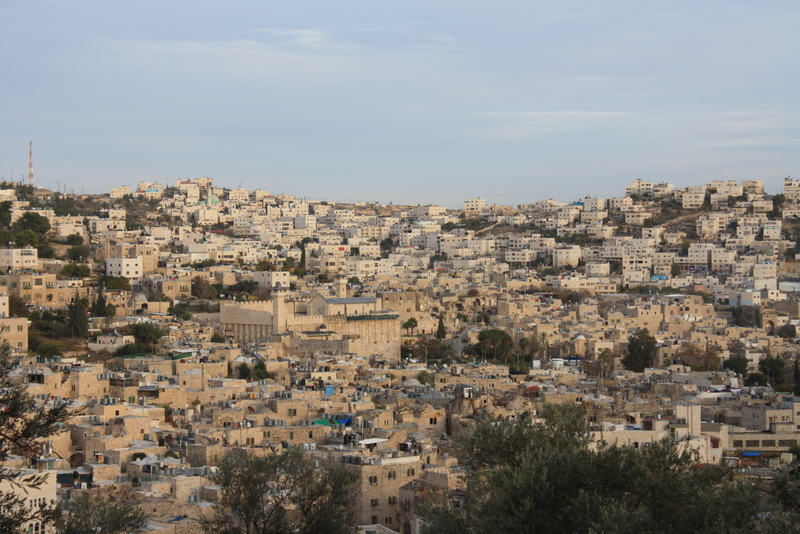 Purplish blobs are Israeli settlements, and are visibly peppered throughout. Perhaps most striking are the colors signifying Areas A, B, and C–the three zones established under the Oslo Accords. Area A is under full Palestinian control, Area C is under full Israeli control, and Area B is a mixture of both. Area C (shown on this map in white) comprises approximately 60% of the West Bank. Looking at this map, the total encircling of Palestinian areas (in yellow) is very apparent.